How has the USA handled Jews that came to live in this land of the free and home of the brave? A President usually leads his constituents in his attitudes. How did their Party handle this change of being a Christian nation only? Dennis Ross, former Ambassador of USA to Israel, just wrote a book called THIRTEEN US PRESIDENTS, 67 BUMPY YEARS. That induced me to look at all the presidents. 1. George Washington-Federalist 1789-1797 : Washington was a Deist, like Franklin and Jefferson, and never mentioned Christ in any of his writings. in Maxims of George Washington by A. A. Appleton & Co.
3. Thomas Jefferson-Democratic-Republican 1801-1809; Thomas Jefferson is deservedly a hero to American Jewry. His was one of the few voices in the early republic fervently championing equal political rights for Jews. Jefferson’s Bill for Establishing Religious Freedom in Virginia is a classic American statement of religious toleration. Significantly, while Jefferson championed the rights of Jews and other religious minorities, he did not do so out of respect for Judaism but because he respected the right of every individual to hold whichever faith they wished. 4. James Madison-Democratic-Republican 1809-1817; I have ever regarded the freedom of religious opinions and worship as equally belonging to every sect. -- James Madison, letter to Mordecai Noah, May 15, 1818, from Albert J Menendez and Edd Doerr, The Great Quotations on Religious Freedom, and "That diabolical, hell-conceived principle of persecution rages among some, and to their eternal infamy the clergy can furnish their quota of imps for such a business. Look what they were considering doing in the Congress, "Congress should not establish a religion, and enforce the legal observation of it by law, nor compel men to worship God in any Manner contrary to their conscience. With him Sharia law of the Muslims would never get established anywhere in the USA. letter to William Bradford, January 24, 774 from same source-Menendez and Doerr. 5. James Monroe-Democratic-Republican 1817-1825; To discuss the religion of Monroe and the Founding Fathers means to discuss religion in the United States of their time. Up to now the Presidents were: the Church, the Church of England, the Established Church, or the Church of Virginia. The independence of the 13 colonies prompted the American members of the Church of England to rename their church and to discard the word “England.” In its place, they adopted in the 1780s the term Episcopal (essentially meaning “we have bishops”) and renamed their denomination, The Protestant Episcopal Church in the United States of America. Less is known about his thoughts on religion than other previous presidents. 7. Andrew Jackson-Democrat 1829-1837; The United States that came out of the American Revolution retained some of the traits of European feudalism—a concentration of wealth and might in the hands of tiny aristocratic elites; a lingering political power for the Presbyterian and Congregationalist churches; a habit of deference on the part of everyone else, the humble masses. By the 1820s the aristocratic features, instead of fading into the past, seemed to be taking on new features with the rise of industrial capitalism, which created spectacular new fortunes for the privileged handful. And the new system, through its banks (and their paper money), imposed monopolies and inhibited competition, which, at least in some people’s view, made it still harder for the ordinary masses to go into business on their own or even to maintain traditional living standards. There are tons of websites quoting him saying vile things about Jews. He was a man against paper money and banks, and he got his picture on the $20 dollar bill. Jackson created the Democrat Party. Jackson and his ally Martin Van Buren and their fellow politicos and journalists succeeded in drawing together those many movements and impulses into an electoral coalition, which became the first solidly footed mass national political party anywhere in the world. This was the Democratic Party—a party with roots reaching back to Thomas Jefferson and his anti-Hamiltonians but that took on a modern shape and its modern name only under Jackson and Van Buren. And, in 1828, Jackson’s Democrats won the national election—won on the basis of a larger electorate and larger turnout and many more humble people than in any previous election in all of history. 8. Martin Van Buren-Democrat 1837-1841, "While there are no other indications of President Van Buren having important interactions with the Jewish community, his actions in 1840 with the Damascus Affair in Syria will always be appreciated by the Jewish community. 9. William Henry Harrison-Whig 1841-1841 one month, of 30 days, 12 hours and 30 min died in office. 11. James Knox Polk-Democrat 1845-This 11th President of the United States in 1832 had fifteen slaves who he treated most cruel. Many of his slaves would runaway to escape the harsh treatment of his hard disciplinary ways toward them. It is clear by his own words that James Polk saw himself as the superior, and the Jews as Israelite slaves who were supservient heaven sent servants. 1849. 26. Theodore Roosevelt-Republican 1901-1909 : In the 1890s, Eastern European Jewish immigrants poured into the tenements of New York’s Lower East Side, Chicago’s Maxwell Street, Boston’s North End and other urban neighborhoods. Living and working together, cut off from the broader society, recent Jewish immigrants and their children who could vote were usually willing to support the Democratic Party, which was known for its greater sympathy to the working classes. The Republican Party sought ways, and recruited candidates, who might persuade these Jewish Democrats to abandon their ethno-political solidarity and become “real Americans” -- that is, to vote Republican.Roosevelt was an unlikely hero for Yiddish-speaking tenement dwellers. Descended from patrician, colonial Dutch Calvinist stock, Roosevelt was a wealthy, Harvard-educated outdoorsman and former police commissioner of New York City -- one with little sympathy for the tumultuous social order of the Lower East Side. Nonetheless, American politics has a way of bringing together interesting bedfellows. When Roosevelt campaigned for governor, the Republicans invoked the ghost of the Spanish Inquisition to mobilize Jewish support for his candidacy. 28. Thomas Woodrow Wilson-Democrat 1913-1921: The allied nations with the fullest concurrence of our government and people are agreed that in Palestine shall be laid the foundations of a Jewish Commonwealth.To think that I, the son of the manse, should be able to help restore the Holy Land to its people. (Reaction to the Balfour Declaration). 29. Warren Gamaliel Harding-Republican 1921-1923; It is impossible for one who has studied at all the services of the Hebrew people to avoid the faith that they will one day be restored to their historic national home and there enter on a new and yet greater phase of their contribution to the advance of humanity. The Jews themselves, of whom a considerable number were already scattered throughout the colonies, were true to the teachings of their prophets. The Jewish faith is predominantly the faith of liberty. 31. Herbert Clark Hoover-Republican 1929-1933; I know the whole world acknowledges the fine spirit shown by the British Government in accepting the mandate of the Palestine in order that there might under this protection be established a homeland so long desired by the Jews. Great progress has been made in this inspiring enterprise over these last ten years, and to this progress the American Jews have made enormous contribution. They have demonstrated not only the fine sentiment and ideals which inspire their activities but its political possibilities. I am confident out of these tragic events will come greater security and greater safeguards for the future, under which the steady rehabilitation of the Palestine as a true homeland will be even more assured. 32. Franklin Delano Roosevelt-Democrat 1933-1945; juggled and equivocated; told King of Saudi Arabia one thing and World Jewish Congress the opposite, promised each what he told them was his real position. "I have on numerous occasions, as you know, expressed my sympathy in the establishment of a National Home for the Jews in Palestine and, despite the set-backs caused by the disorders there during the last few years, I have been heartened by the progress which has been made and by the remarkable accomplishments of the Jewish settlers in that country. (Letter Oct. 19, 1938 to Senator Tydings)"
33. Harry S. Truman-Democrat-1945-1953; voted for Israel though advisers were against it; but refused to sell weapons and demanded a pull back from 1949 armistice lines to the 1947 boundaries. Disapproved of Israel's handling of refugee problem.," "I had carefully read the Balfour Declaration. I had familiarized myself with the history of the question of a Jewish homeland and the position of the British and the Arabs. I was skeptical, as I read over the whole record up to date, about some of the views and attitudes assumed by the 'striped-pants boys' in the State Department. ", "I had faith in Israel before it was established, I have faith in it now." 34. Dwight David Eisenhower-Republican 1953-1961; Little tolerance, thought Israel was too aggressive, demanded repatriation of Arab refugees, expected Israel to sacrifice Negev for territory between Gaza and Judea-Samaria. Demanded withdrawal of IDF from Gaza thought it was Arab aggression as cause of attacks. ""The people of Israel, like those of the United States, are imbued with a religious faith and a sense of moral values" (Radio Address on situation in the Middle East, February 20, 1957. 37. Richard Milhous Nixon-Republican 1969-1974-didn't like Israel relationship as it interfered with one with Arabs, wanted Israel to pull back to 1949 armistice line-starting of 1967 War, wanted Israel to grant Arab refugees and descendants a return to Israel, sold arms to Israel but was distressed about it.-labored to stop a strong victory in 1973 Yom Kippur War, saw time to get land for peace-only resupplied Israel with arms when they were completely out. Peace process introduced with unrealistic comprehensive solution. "Americans admire a people who can scratch a desert and produce a garden. The Israelis have shown qualities that Americans identify with: guts, patriotism, idealism, a passion for freedom. I have seen it. I know. I believe that."" 38. Gerald Rudolph Ford-Republican 1974-1977- Expected a Sinai pullback causing Jerusalem to balk-so he reassessed and put in an arms embargo forcing Israel to comply, so promised USA wouldn't talk in secret to PLO, thought settlements were illegal. 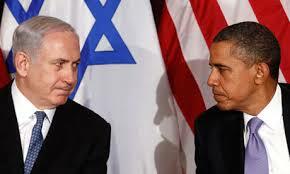 ; The United States ... has been proud of its association with the State of Israel. We shall continue to stand with Israel. We are committed to Israel's survival and security. The United States for a quarter of a century has had an excellent relationship with the State of Israel. We have cooperated in many, many fields -- in your security, in the well-being of the Middle East, and in leading what we all hope is a lasting peace throughout the world." (Remarks Welcoming PM Rabin to USA, September 10, 1974). 39. James Earl Carter, Jr.-Democrat 1977-1981; Felt animus towards Israel, obsessed with Palestinian cause and so did his security advisor, Brzezinsi. Wanted to impose a solution; disliked Rabin, so distanced USA from Sadat in 1977 with Begin's peace offer; "appeared more pro-Arab than Sadat himself. "; continued along this vein with anti-Israel books he wrote. But to the Press Conference at the Illinois State Legislature on May 26, 1978, he said, "The special relationship between the United States and Israel still stands. Our total committments to Israel's security and our hope for peace is still preeminent among all the other considerations that our Nation has in the Middle East ... But there need be no concern among the Israeli people nor among Jews in this country that our Nation has changed or turned away from Israel." 40. Ronald Wilson Reagan-Republican 1981-1989; had advisor Al Haig who was against Israel; urged by Weinberger to sell AWACS to Saudi Arabia-I had my class in Israel write to White House and tell why it was a bad idea, penalized Israel for bombing Iraq's nuclear facility; 1982 was critical for "disproportionate" bombing in Lebanon War accusation, helped get Arafat a safe exit from Beirut, Peace plan called for Israeli pullback to 1949 lines again, a bad idea-led to gaining nothing with Arabs for anyone., Then there's Reagan's speech on the US S Policy for Peace in the Middle East on September 1, 1982 ""Israel exists; it has a right to exist in peace behind secure and defensible borders; and it has a right to demand of its neighbors that they recognize those facts. I have personally followed and supported Israel's heroic struggle for survival, ever since the founding of the State of Israel 34 years ago. In the pre-1967 borders Israel was barely 10 miles wide at its narrowest point. The bulk of Israel's population lived within artillery range of hostile Arab armies. I am not about to ask Israel to live that way again." 41. George Herbert Walker Bush-Republican 1989-1993; no sentiment for Israel, thought Reagan was too pro-Israel, disagreed over settlements with Shamir, Baker was Sec. of State-anti-Semite; His address to the UN on September 23, 1991 was great, however: ""The friendship, the alliance between the United States and Israel is strong and solid, built upon a foundation of shared democratic values, of shared history and heritage, that sustains the life of our two countries. The emotional bond of our people transcends politics. Our strategic cooperation—and I renew today our determination that that go forward—is a source of mutual security. And the United States’ commitment to the security of Israel remains unshakeable. We may differ over some policies from time to time, individual policies, but never over the principle ... For more than 40 years, the United States and Israel have enjoyed a friendship built on mutual respect and commitment to democratic principles. Our continuing search for peace in the Middle East begins with a recognition that the ties uniting our two countries can never be broken ... Zionism is the idea that led to the creation of a home for the Jewish people....And to equate Zionism with the intolerable sin of racism is to twist history and forget the terrible plight of Jews in World War II and indeed throughout history." 42. William Jefferson Clinton-Democrat 1993-2001; Israel's PM going along with land-for-peace formula of Rabin. Atypically harmonious with Israel. Wanted Peres to be next PM but Netanyahu won, instead, thought this PM was grudging about peace; Barak pushed for a 2000 Camp David Summit with Arafat-to cut a deal but he refused to go to an end of conflict deal. Arafat saw that resistance got Hezbollah everything. Words said to Israeli Ambassador Shoval on September 10, 1998 were, ""America and Israel share a special bond. Our relations are unique among all nations. Like America, Israel is a strong democracy, as a symbol of freedom, and an oasis of liberty, a home to the oppressed and persecuted ... The relationship between our two countries is built on shared understandings and values. Our peoples continue to enjoy the fruits of our excellent economic and cultural cooperation as we prepare to enter the twenty-first century." 43. George Walker Bush-Republican 2001-2009; Enmity towards PM, 2nd intifada going on, and Mitchell report didn't see difference between terrorism from Arabs and Jews settling in land formerly theirs, even land designated for their settlement. Declared that Arabs had right to self-determination and to live peacefully in their own state (though they had no state and did not behave peaceful to Israel.) Al-Qaida attacked 9/11/2001, changing the USA but, still thought Arabs would reject radicalism if given the chance-offered roadmap to Arafat. Sharon disengaged from Gaza, for 1967 plus formula for land, had stroke in 2006; Now Condoleeza Rice Secretary, pressed for Palestinian elections-Hamas was elected-last election held. Bush liked Olmert.At a press Conference on February 17, 2005, he made it short and sweet. "[Israel] is our ally and in that we've made a very strong commitment to support Israel, we will support Israel if her security is threatened." 44. Barack Hussein Obama II- Democrat 2009-2017-visited Israel in 2008-implied would break with 1967 plus pledge, 2009 went to Cairo, told Arabs he understood their grievances against Israel, remained distant to Israelis, pressed for settlement freeze, distance policy apparent, one of his close staff said that Netanyahu was A CHICKENSHIT. Has never allowed self if Palestinians want peace. Didn't invite him and staff to dinner when at White House, Had him enter from back door, Wouldn't back Land concessions by Israel with security measures in arbitration. Allowed Iran to have nuclear power along with huge monetary payment when they have threatened to wipe out Israel with A Bomb. Where words count, he said to the UN's General Assembly on September 21, 2011, ""America's commitment to Israel's security is unshakeable, and our friendship with Israel is deep and enduring. And so we believe that any lasting peace must acknowledge the very real security concerns that Israel faces every single day ... The Jewish people have forged a successful state in their historic homeland. Israel deserves recognition. It deserves normal relations with its neighbors. And friends of the Palestinians do them no favors by ignoring this truth,just as friends of Israel must recognize the need to pursue a two state solution with a secure Israel next to an independent Palestine." Here he got his lecture in and was pushing for the 2-state solution, something we today as a plan gone nowhere since it takes 2 to want peace and the Arabs continue to be terroristic towards Israel"
In an interview by an Israeli TV station, former Obama adviser David Axelrod recalled the president venting in a moment of contemplation about criticisms that he doesn’t support Israel strongly enough. Guess he doesn't understand how we view his negative actions and his obvious favoritism of Muslims as well as the church he sat in for 22 years listening to the blasting of Jews by his minister. That should have been hard for any man so close to being a Jew. Update: At one time, seen on TV, he forgot his mike was on and was talking to Putin as they were walking, saying something about wait, when he could he would be happy without Netanyahu or some such thing. Had problems with lines on Jewish Bubba so posted article here.